Maybe I’m imagining it, but I often just feel more alert and alive when I eat a combination of colorful vegetables. So one of the few rules I have about eating is to have as many colorful foods as possible. This is because many nutrients tend to be reflected in the colors of foods. For example, you’ll find beta carotene in foods like carrots and sweet potatoes. You see anthocyanins in red and blue foods like pomegranate seeds and blueberries. When you eat with color in mind, you’ll not only have gorgeous looking food, but also get a spectrum of vitamins and minerals. So if you’re like me and don’t necessarily track your nutrition or calories very carefully, eat a rainbow of foods, and you can be fairly certain of getting what you need. 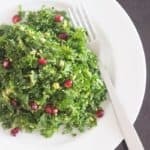 I love this rainbow-colored kale salad. 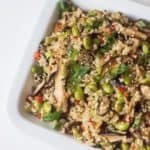 The fat from avocados as well as the fiber and protein from the hemp seeds make it a satisfying light meal. Preparation simply involves chopping. Use a mandolin for quick, even slices of carrots, radish and other vegetables, if you like. Note: If you’ve made extra to save for later, only add avocado to the portion you’re serving. Otherwise, it gets funky. In a medium bowl, combine lemon juice, apple cider vinegar, ginger and agave nectar. In a thin, steady stream, stir in olive oil until well mixed. Stir in salt and cayenne. Set aside. 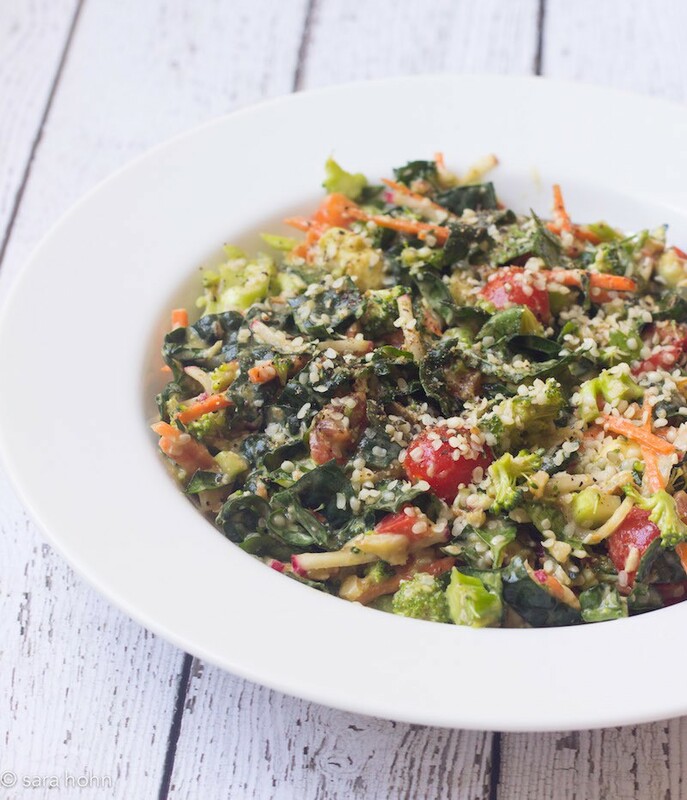 In a large bowl, combine kale, broccoli, bell pepper, carrot, walnuts, radish, tomatoes, parsley and hemp seeds. Gently fold in avocado. Stir in dressing. Serve with freshly ground pepper to taste. 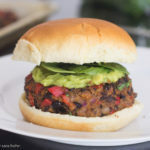 Need ideas for quick, tasty vegan meals? 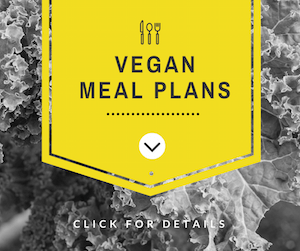 Try my simple meal plans!